When Linga started art he did not have an idea of what he can do with it. He was just making beautiful pictures. 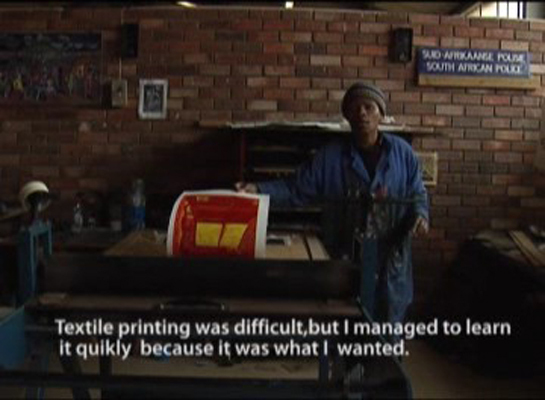 As he was growing up he decided to use his art to talk about social and political uses that affect poor people in South Africa. Despite growing in an environment where art was not appreciated Linga managed to persist. Now he is a happy man who is making a living from something that was thought to be a waste of time. This entry was posted on Tuesday, September 8th, 2009 at 12:39 pm	and is filed under , 2009. You can follow any responses to this entry through the RSS 2.0 feed. You can leave a response, or trackback from your own site.